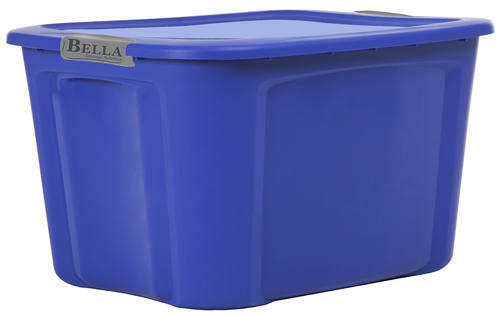 This Bella 36 quart underbed storage tote features a durable locking lid. 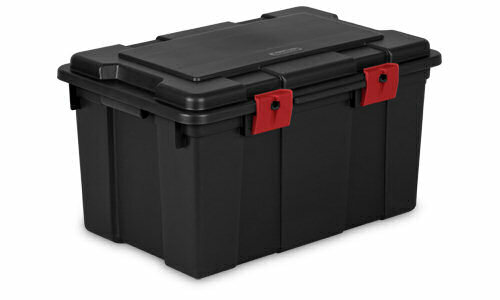 The 16 Gallon Storage Trunk offers easy access and portability for on-the-go storage needs. This portable storage solution is ideal for sporting equipment, tools, camping gear, and more. 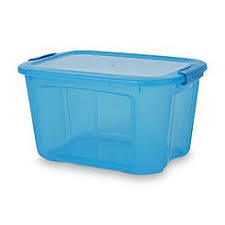 Durable construction makes it suitable for use in the garage, attic or basement. The style, size and design also make this perfect for students traveling back and forth to campus, and for additional storage in the dorm room. 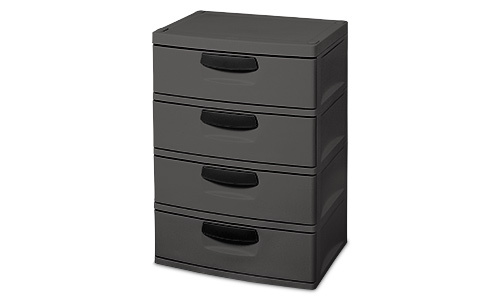 The 4 Drawer Unit is a versatile storage solution ideal for use in the garage, utility room, dorm room or bedroom. Each large-capacity drawer glides smoothly, even under a heavy load, on hidden rollers. 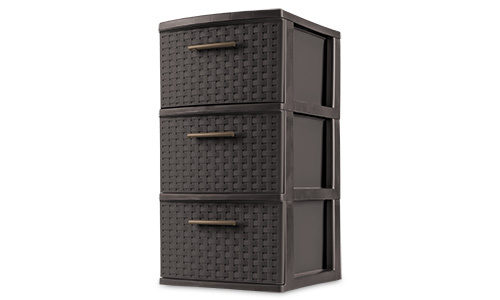 The 3 Drawer Wide Weave Tower is the ideal decorative solution for visible storage needs. The three opaque drawers keep clutter controlled and concealed while providing access to frequently used items. Easy pull handles allow drawers to open and close effortlessly. 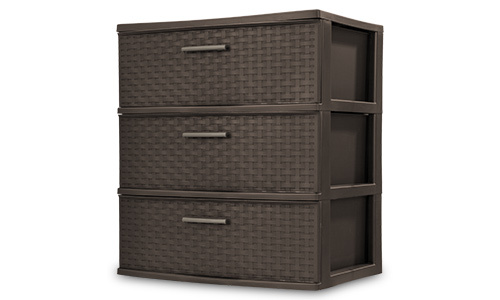 The stylish weave pattern and rich Espresso color of the 3 Drawer Wide Tower provides a furniture-like look in easy to clean, durable plastic. 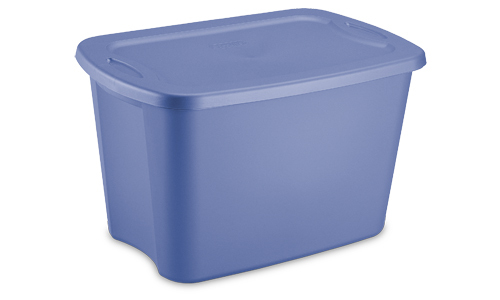 The 41 Quart Underbed Box features a see-through base that allows contents to be easily identified. 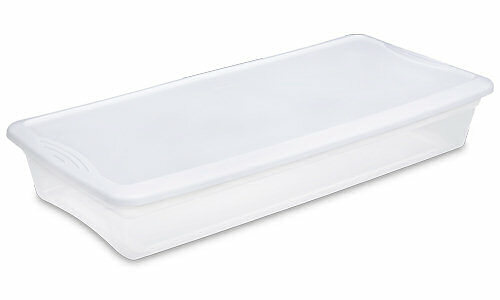 The opaque lid snaps firmly onto the base to keep contents contained and secure. The long and shallow shape of this box fits conveniently under the bed, providing a great solution for storing wrapping paper rolls, clothing and other household items. The 35 Gallon Latch Tote offers durable construction that is ideal for storing household items in the garage, basement or attic. The lid fits tightly to the base and remains secure with the use of sturdy latches. Multiple totes are able to stack securely on top of each other; and contoured end panels create a comfortable surface for easy lifting and transporting. 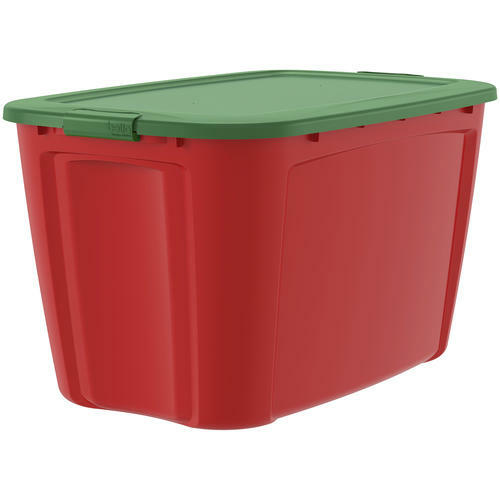 The 18 Gallon Tote Box offers durable construction that is ideal for storing household items in the garage, basement or attic. 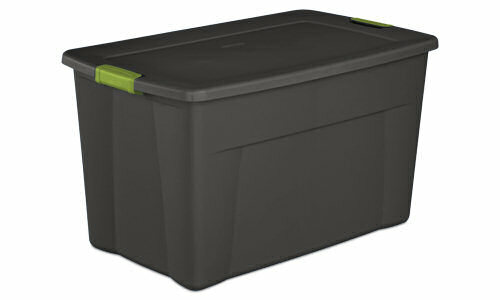 The lid fits tightly to the base, and multiple totes are able to stack securely on top of each other. Contoured end panels create a comfortable surface for easy lifting and transporting. 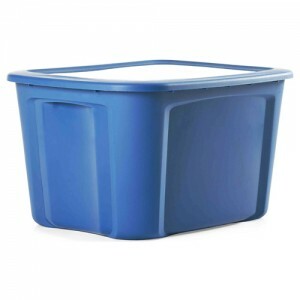 The 30 Gallon Tote Box offers durable construction that is ideal for storing household items in the garage, basement or attic. 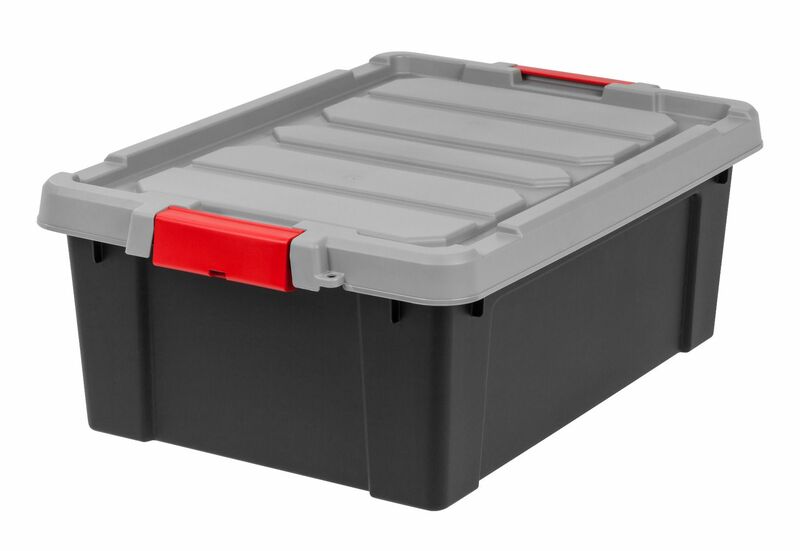 The lid fits tightly to the base, and multiple totes are able to stack securely on top of each other. Contoured end panels create a comfortable surface for easy lifting and transporting. 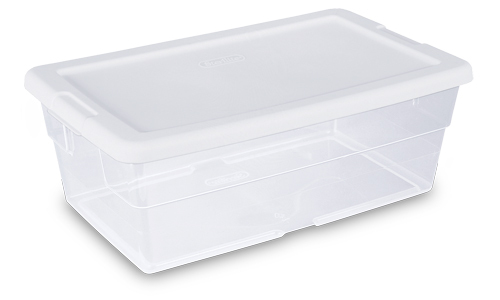 The 56 Quart Storage Box features a see-through base that allows contents to be easily identified. 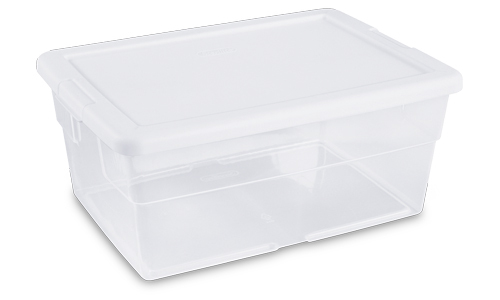 The opaque lid snaps firmly onto the base to keep contents contained and secure. 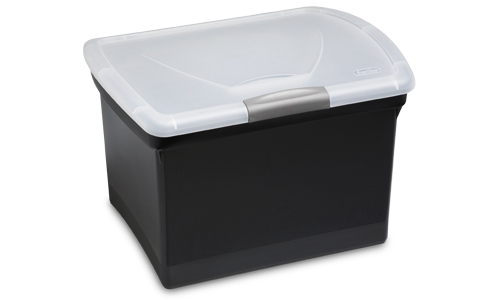 This storage box is ideal for storing blankets, pillows and other large items around the home. 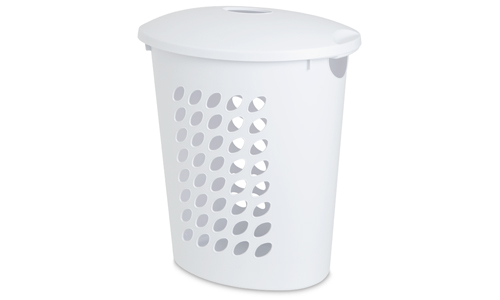 The Oval Laundry Hamper provides a contemporary shape and slim profile to efficiently use valuable floor space in the home. 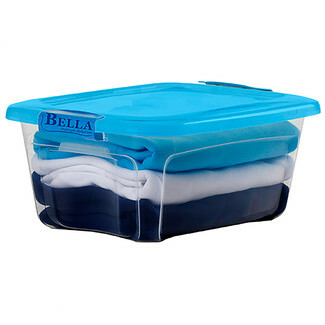 The lid helps to contain and conceal contents neatly, but can be easily removed for disposing clothes. Holes in the base provide ventilation for clothes inside, and integrated handles allow for easy lifting and transporting. The Set of Two 49 Ounce Bowls is ideal for soups, vegetables and side dishes. This useful size holds everything from soup to nuts. 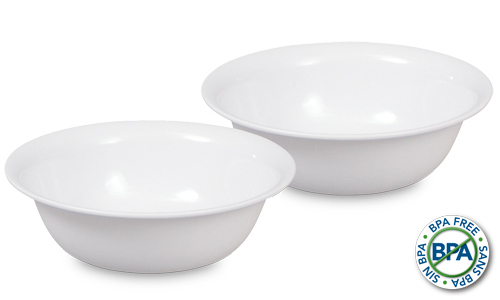 Sterilite’s bowls are durable and dishwasher safe for easy cleaning. 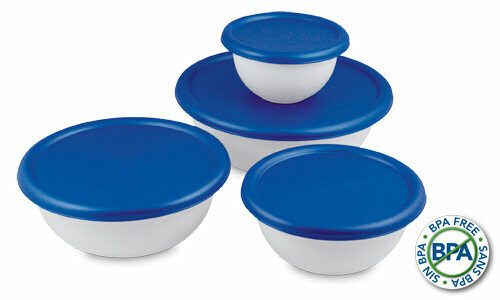 All Sterilite bowls are BPA-free and phthalate-free. 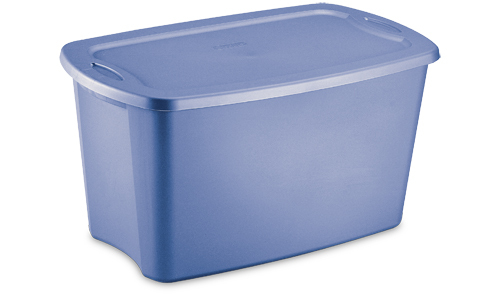 The 16 Quart Storage Box features a see-through base that allows contents to be easily identified. The opaque lid snaps firmly onto the base to keep contents contained and secure. This storage box is ideal for storing small items around the home and fits conveniently on 16” wire closet shelving, making it ideal for organizing and storing small items in the closet. 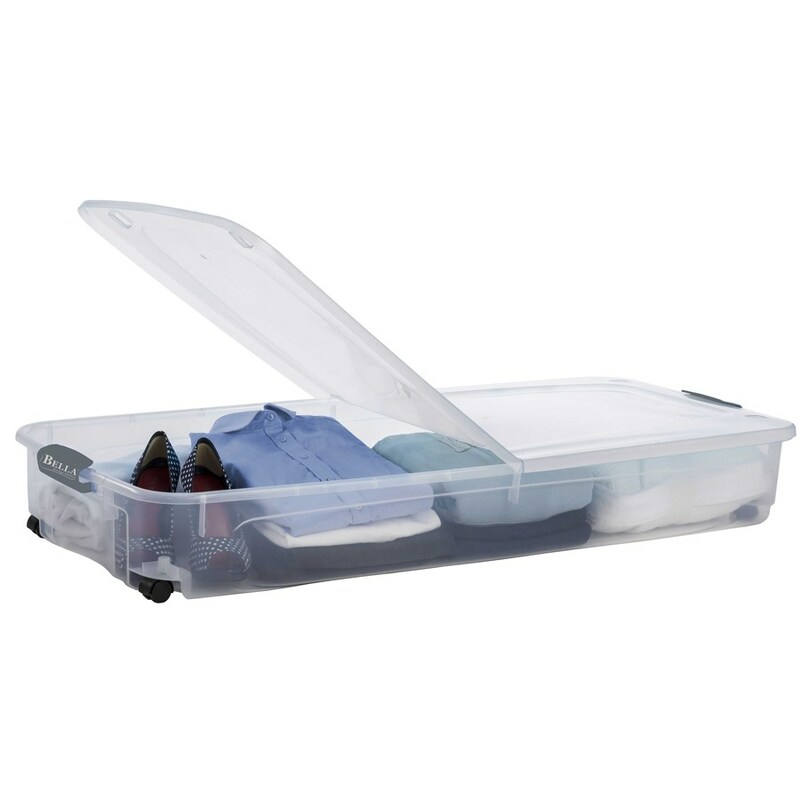 The 6 Quart Storage Box features a see-through base that allows contents to be easily identified. 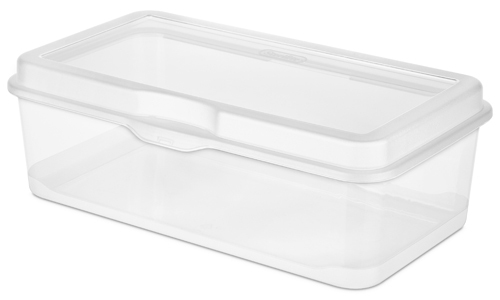 The opaque lid snaps firmly onto the base to keep contents contained and secure. 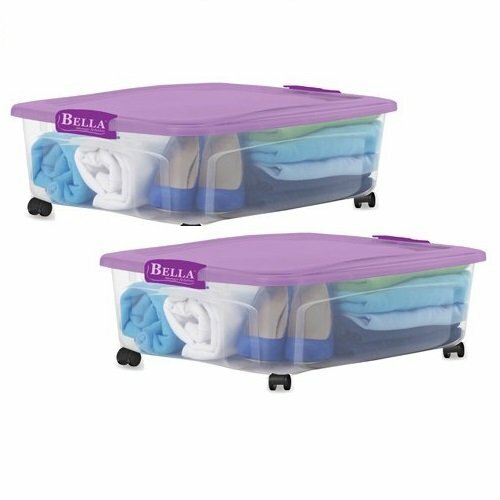 This storage box is ideal for storing shoes and other small items around the home and fits conveniently on 16” wire closet shelving, making it ideal for organizing and storing small items in the closet. 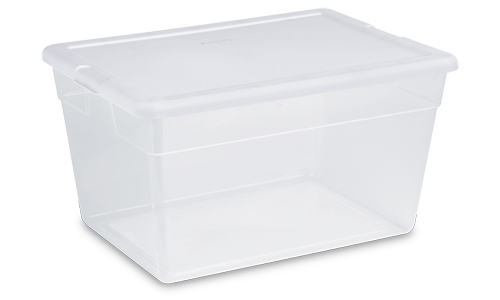 The Large FlipTop box is a practical solution for reducing clutter and keeping smaller items contained. Enhanced hinge latch lid ensures cover will never be misplaced and allows it to remain tightly closed during transport. Modular in design, Large FlipTop storage boxes securely stack both individually and are interchangeable with the FlipTop allowing flexibility for all your small storage needs. Ideal for organizing accessories, crafts and more in and around the home. 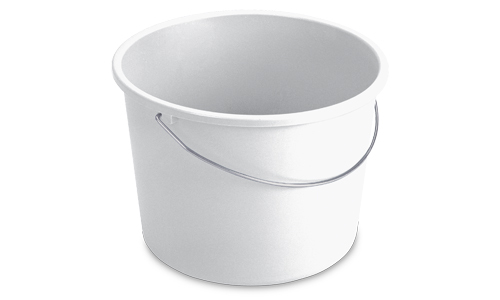 The 5 Quart Handy Pail is the ideal pail for painting. The sturdy wire handle allows for easy transporting, and the textured finish is easy to clean. The File Box conveniently accommodates both letter- and legal-size file folders. The lid hinges to the base so that the lid does not become misplaced. A durable latch ensures that contents remain secure, and contoured handles integrated into the base allow for easy and comfortable transporting. Multiple file boxes are able to stack neatly on top of each other. Black or Clear. 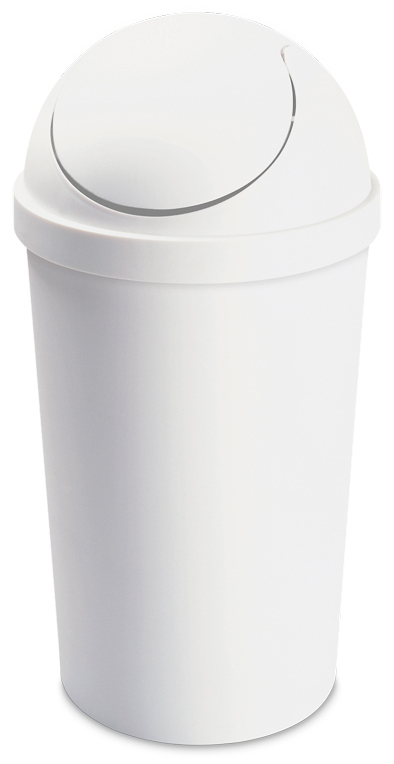 The 11 Gallon Ultra Click-Top™ Wastebasket incorporates a hidden locking element that holds the lid securely closed. With a light push of the cover, the latching feature releases the lid to the open position. 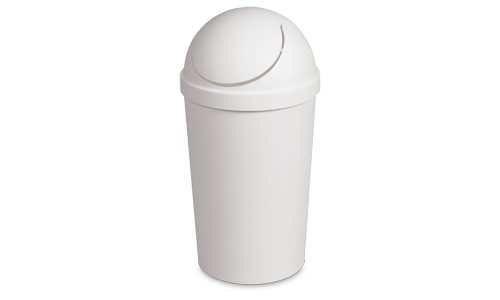 This wastebasket is ideal for use in the kitchen, bathroom, bedroom or office and accommodates a standard 13-gallon trash liner. 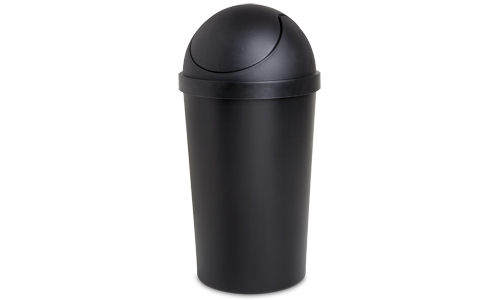 The 3 Gallon Round Swing-Top Wastebasket features a round shape and domed-lid design that swings open and closed via a unique indexing feature at the pivot point. 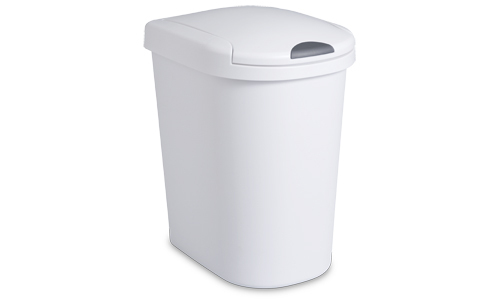 The wastebasket is ideal for use in the bathroom or office and accommodates a standard plastic shopping bag or 4-gallon trash liner.